"Dr. Jaspal is the best doctor I would not be alive today if it wasn't for his medical help. " "My care provider Dr. Sunjit Jaspal is excellent dr. very patient & explains everything very nicely." "Very good attention thank you. " "Dr. Jaspal is amazing. He actually cares." "We were new to each other." "Dr. Jaspal - VERY informative, patient, clear & kind. #8. Awesome! " "It was nice to finally find a doctor that was concerned & cared about my well being." "I was extremely at ease with Dr. Jaspal he explained my problem VERY WELL -"
"There was no treatment, medication or any follow-up care. Everything was fine." "Very grateful for the good attention with the doctor." "I don't feel he showed much empathy do to my condition and he told me it would take 3 to 4 for weeks for these special order blood work! 1. I think he was OK! " 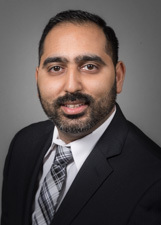 "Dr. Jaspal was professional, kind and caring and very thorough." "Dr. Jaspal is very concerned and thorough! He is very friendly, explains everything, and answers questions, and offers you options about your care." "A wonderful care provider - had a very good experience with this doctor." "Very knowledgeable (for his specialty) - someone I could depend on." "He listened to me & did his best to help me."